Built upon the Waldorf understanding of the child, we provide children ages 4 to 6 with a nurturing environment which allows the imagination to unfold in a beautiful and lush summertime setting. 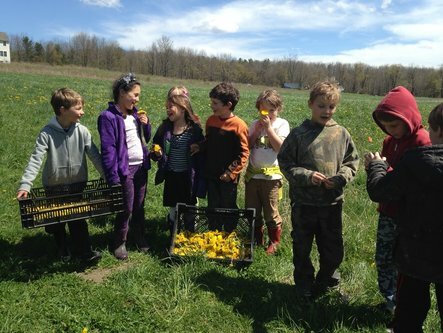 The forest and field setting is the ideal place for children to experience an Upstate New York summer to the fullest. Days will be spent outside in our magical forest and field, equipped with comfortable shady spots, a sand play area, rustic climbing structure, ample water sources, and lots of room to run around. We strive to provide a world where children can experience the wonder of childhood. Within the rhythm of our day you will find time for snack and lunch. A healthy morning snack is provided by the camp. Children bring their lunches from home. Contact Alissa Dean at 607-274-5612 for pre-screening.